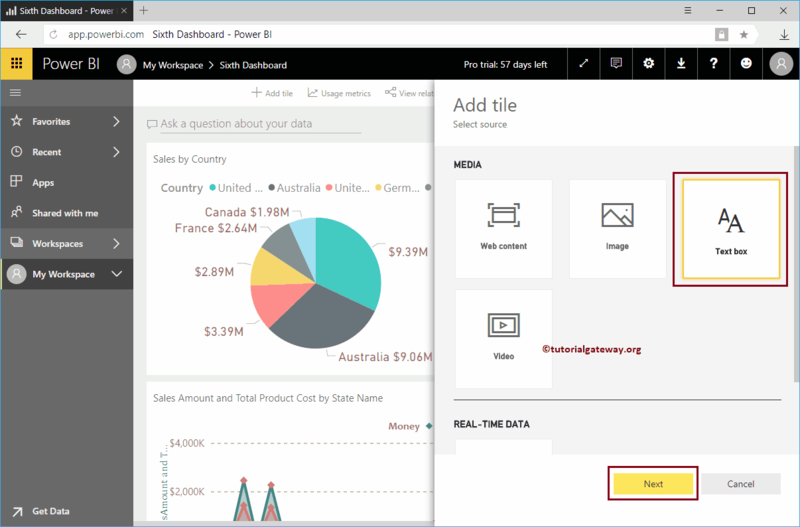 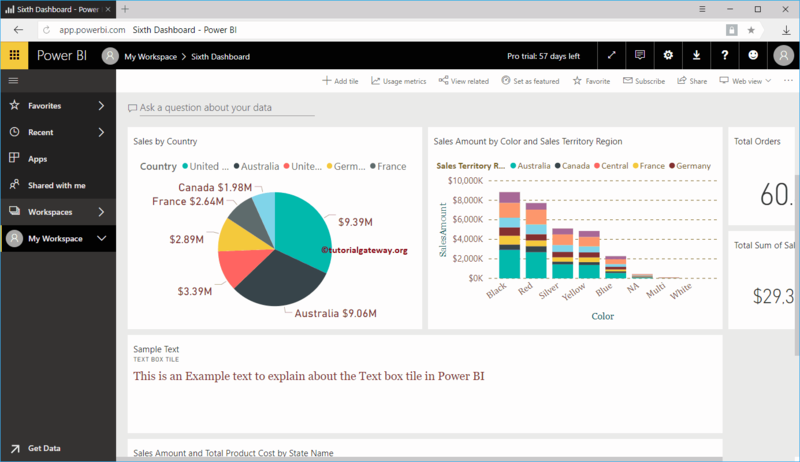 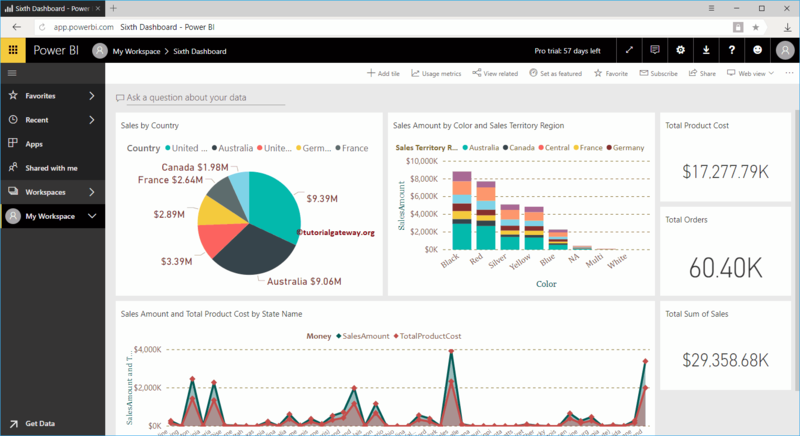 In this article, we will show you, How to add title to Power BI dashboard with example. 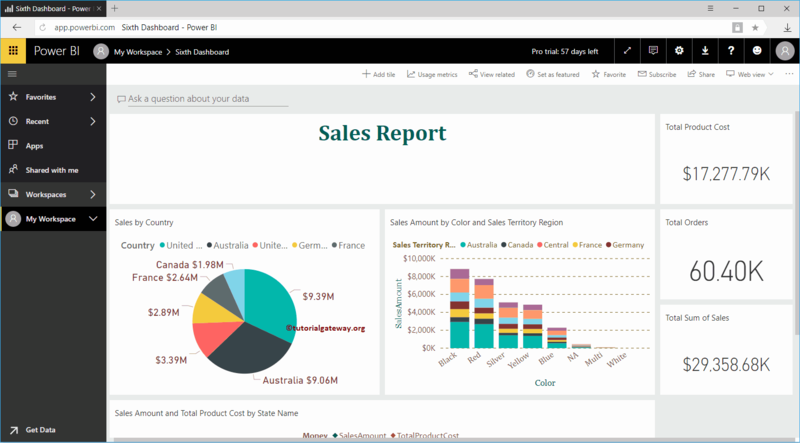 For this demonstration, we are going to use Sixth dashboard that we shown below. Clicking on the Add tile button will open the following window. 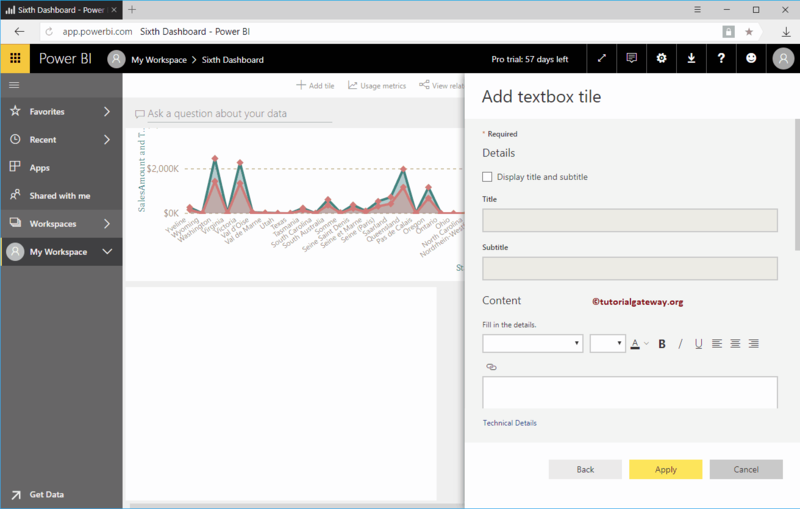 Here, you have to select the Text Box. 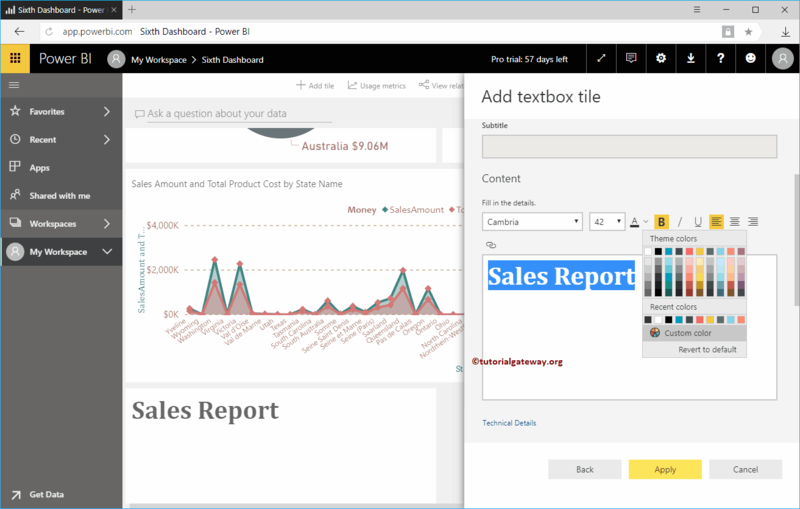 This text box will helps you add Title, or any custom text that explains the dashboard. 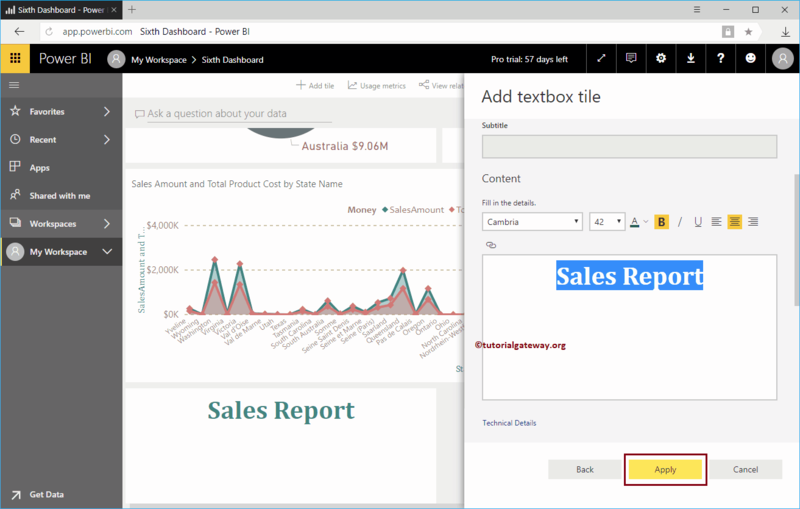 Display Title and subtitle: Please check mark this option to display the title and subtitle of this text box. Now you can see the new tile displaying the Dashboard title.